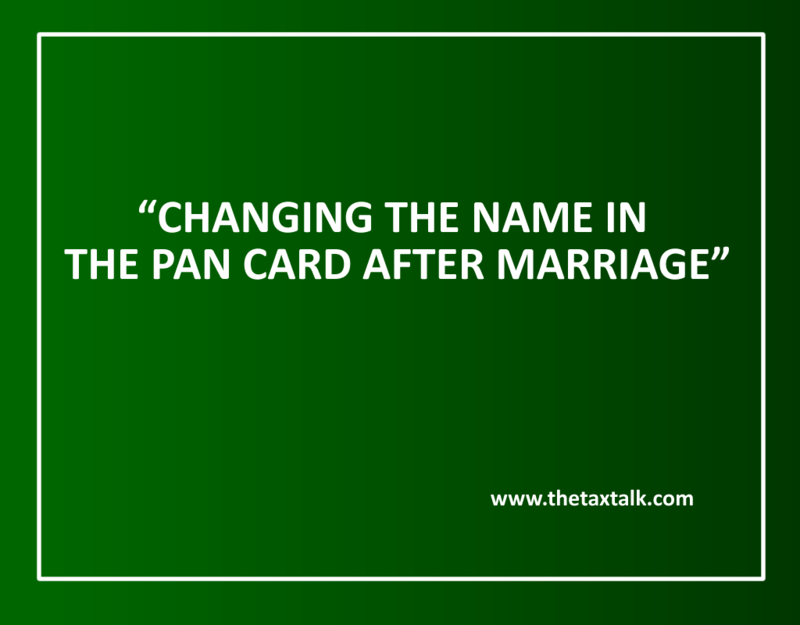 You can get the data in the PAN card changed with new middle name & surname incorporated therein. For this, you have to make an application in “Request for New PAN Card or/and Changes or Correction in PAN data”. You have to attach the documents in support of your submission. The form can be downloaded from the websites of UTI Technology Services Ltd (UTITSL), National Securities Depository Ltd (NSDL), or the I-T department [utitsl.co.in, www.tin-nsdl.com or www.incometaxindia.gov.in]. You can tick the Name column on the left margin of the form. You have to attach color stamp-sized photographs on the form. The form can be submitted at PAN application centers of UTITSL and NSDL, the addresses of which are available at the above mentioned website. b] Individual or his minor child, spouse or HUF of which he is a member, should not be owner of a house at the place where he ordinarily resides or performs his duties; or he should not be owner of any house at any other place, the income therefrom is to be determined under section 23(2) (a) or, as the case may be, under section 23(4) (a) (i.e., income from self-occupied house property). (iii) Rs. 2000 per month. In your specific case, if all other conditions are satisfied, you can claim deduction u/s 80GG by paying the house rent. The details of employee, whose annual salary is below the basic exemption limit, may not be incorporated in the quarterly TDS return. However, there is no specific provision or clear cut guidelines as to incorporating the details of employee whose annual salary exceeds the basic limit but ultimate tax deduction is Nil due to various deduction (like deduction u/s 80C, 80D, 24(b) etc). In such cases, where ultimate tax liability turns out to be “Nil” due to various deductions, advisably employer should incorporate the employee details in the quarterly TDS return. The error in filing on the part of the bank has resulted in the error. There is no other remedy but filing the revised corrected statement by the bank.